The heart of Provence lies in the rolling hills that link the sea to the Alps. The unique Verdon river canyons are one of the natural jewels of Provence. In the back country you will discover the fields and colorful landscapes which fascinated and inspired Van Gogh, Petrarch, Picasso, F. Scott Fitzgerald, Renoir, Matisse, and Cocteau. The Phocaean city of Marseille was founded by the Ancient Greeks around 600 BC. Then came the Romans, creating “La Provincia Romana”, leaving arenas, amphitheaters, archaeological sites, triumphal arches, aqueducts and bridges. The Roman cities of Arles, Orange, Nimes and Frejus still bear witness to their long and rich past, featuring vestiges that are now protected by UNESCO. 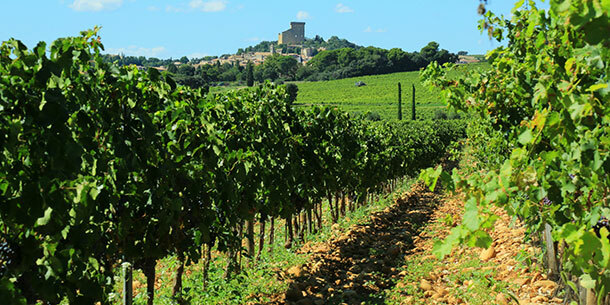 The vineyards start from the southern part of the Rhone Valley and include the famous Châteauneuf-du-Pape, where French vineyards started over 25 centuries ago. Côtes du Rhône, Côtes du Rhône Village, Châteauneuf-du-Pape, Côtes du Luberon, Côtes du Ventoux, Gigondas, Tavel, Côtes de Provence, Bandol, Coteaux d’Aix-en-Provence are just a few of the most popular red and rosé wines from the region. If you enjoy wine tasting, gourmet food, visiting small quaint villages, ancient monuments, beautiful seaside towns and vineyards, surrounded by breathtaking natural scenery, this tour is for you. You will be escorted by Norma Keshishian who is bilingual and highly qualified with more than 25 years in the tourism industry, and you will also be accompanied by a bilingual local guide plus minibus driver. Le Pigonnet is an elegant country house which combines 18th-century refinement with contemporary style. Set in a beautiful 2-acre garden with flowers and chestnut trees, it offers a swimming pool, a fitness room and a hammam.Each room is different and offers simplistic decor and 5 *****star service. Each room features a satellite TV, free Wi-Fi access, bathrobes and slippers. Some overlook the garden and Sainte Victoire Mountain from a balcony or terrace. Le Pigonnet features a bistronomic restaurant, La Table du Pigonnet, that serves regional cuisine. 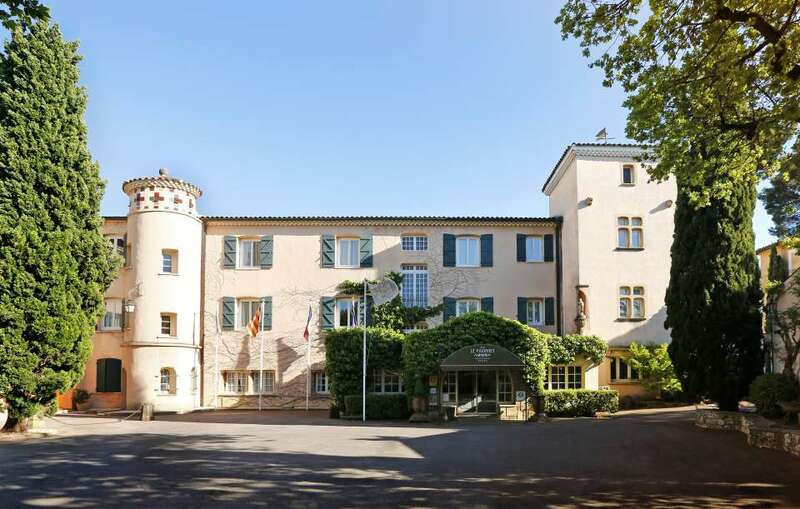 The hotel is situated only 800 meters from the center of Aix-en-Provence. First up you will visit the village of Les Baux de Provence, including the monument “Carrières de Lumières” followed by a tasting at the winery Baux de Provence. The numerous yet unique wines of Les Baux-de-Provence are defined both by the character of their land and the specific choices made by the producers. Since 1995 by a “controlled appellation of origin,” the winemakers of Baux-de-Provence have united and continue to preserve their land that is naturally protected by the mistral. For lunch you will stop in the historic village of St. Rémy de Provence. We highly recommend Le café de la Place. 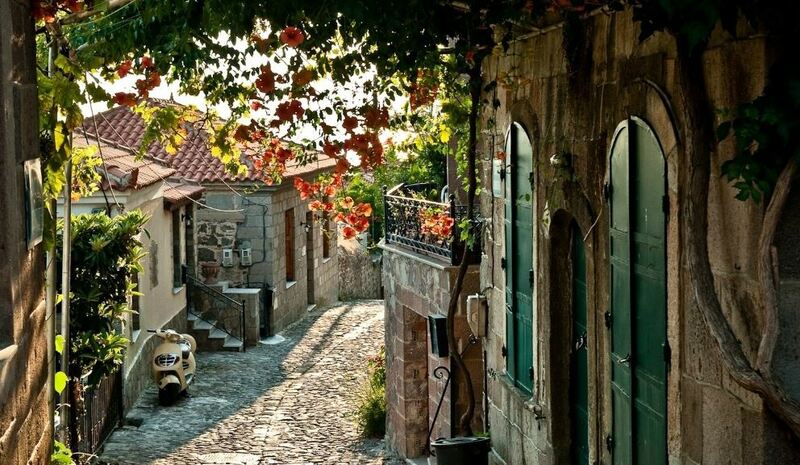 One of the most charming villages in Provence. 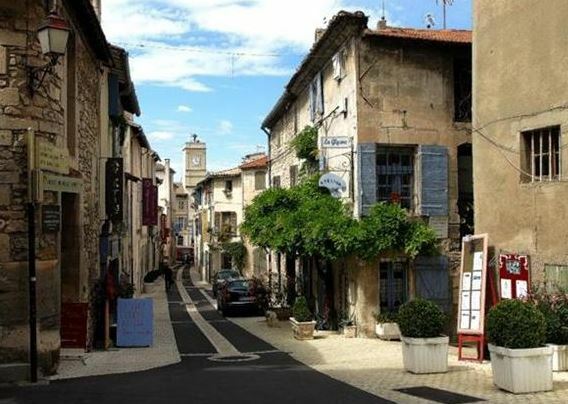 Located in the heart of the Alpilles, Saint Rémy is surrounded by lush green perfumed valleys, its ancient streets are lined with beautifully restored old houses. The beauty of the countryside and the quality of light has inspired many artists, writers and painters. Without a doubt, the most famous was Vincent Van Gogh who produced more than 150 paintings of the countryside surrounding Saint Rémy de Provence. After lunch enjoy a walking tour of St. Rémy de Provence, while strolling through the narrow winding streets you will discover fantastic old fountains, shady squares, picturesque restaurants and elegant boutiques. From the place Jean Jaurès to the gates of the old town, enjoy the long succession of “hôtels particuliers” (often converted into museums or art galleries), convents, chapels, and ornate houses from the 17th and 18th century. At the founding of Marseilles, over 2,600 years ago, the Phocaea’s planted the first grapes in the Cassis bay. They introduced the “Ugni Blanc,” which is still present today. Over time, the Romans perpetuated the culture of the vine in Cassis and shipped the wine by sea, as evidenced by wine amphora’s found in the Cassis bay. The first writings about the Cassis vineyard date back to the Middle Ages, and in 1381, a notarial text recounts the presence of vineyard land in a place called “The Arena,” by the sea. The winery moved from the Mediterranean Sea to then expand into the slopes of the surrounding mountains. In the sixteenth century, Cassis sealed its destiny: the vineyard became known for specializing in the development of white wines. A revolution in Provence! (Of course, red wines dominate as well). 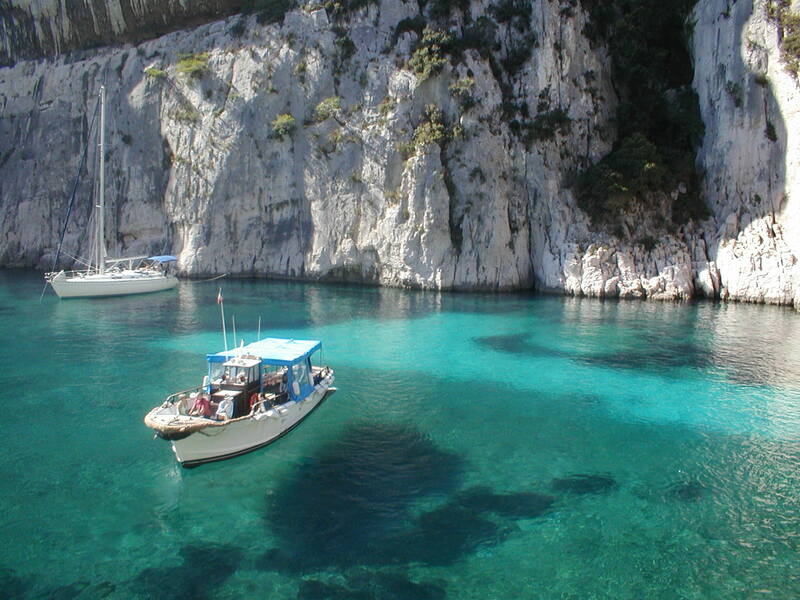 For lunch you will stop in the ancient fishing port of Cassis. de La Villa Madie, which has a beautiful sea view. 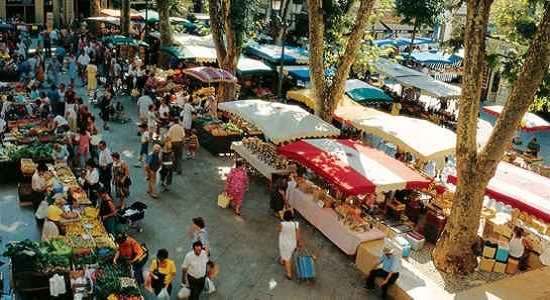 Your gourmet cooking course is a unique opportunity to immerse yourself in the Aix way of life to experience a little of Provence by exploring the incredible outdoor markets. With your chef you will choose fresh seasonal produce and ingredients to prepare in a beautiful house close to Aix en Provence. Your chef will discuss all about the culture of French cuisine while preparing your lunch. Your 3-course lunch will be accompanied by a tasting of 2 wines. Throughout the meal, you will have the opportunity to discover the world of wine and Provencal food and wine pairings. 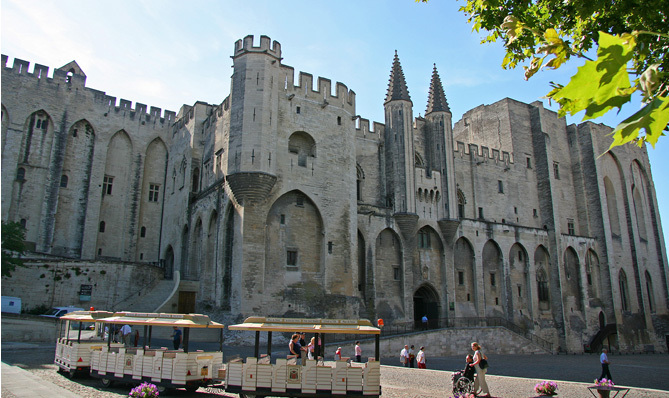 Thursday 11 October : Discovery of the “Palais des Papes” in Avignon and the wines of Chateauneuf du Pape. This morning you will visit the “Palais des Papes” and the Pont St. Benezet (audio guide provided).“The Palais des Papes” stands as the powerful symbol of the church’s influence throughout the western Christian world in the XIV Century. Edified in 1335, “The Palais des Papes” was completed in less than twenty years under the leadership of Pope Benedict XII and his successor Clement VI. The monument is the largest Gothic palace in the West and has more than twenty rooms, including the private apartments of the Pope and a theater that hosts public events. The beautiful decors in the frescoes were painted by Italian artist Matteo Giovannetti. Please Note : If you would like a private guide please don’t hesitate to ask and we will arrange for one (at an additional cost out of pocket). Lunch will be in Avignon. We highly recommend restaurant “La Maison Christian Etienne” Michelin guide 1*. Reservations required. After lunch you will enjoy two wine tastings in the vineyard estates of Châteauneuf du Pape, one of the most famous wine regions in the world. Located here are some of the oldest wineries in France, with old castle ruins dating back to the 13th century. When it comes to world-class red wines, Châteauneuf du Pape has no rival! Only 10% of the high-end production is white, and rosé is not even grown here. Most visitors do not get to see the places that we have carefully selected for you. This morning enjoy two tastings at wineries in Bandol. 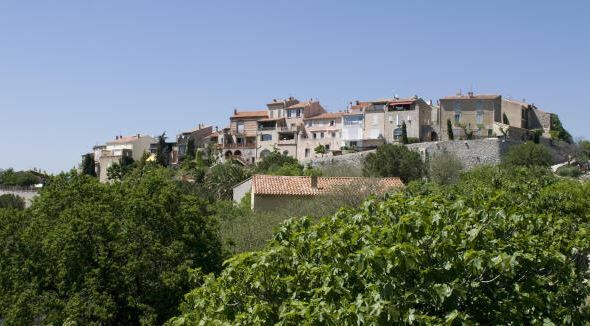 Bandol is one of the first regions where the Phoenicians came to cultivate vines in a privileged site. The land since then has not changed and is still the one we know today, surrounded by its geological barriers, “Big Brain” in the South, “Mount Caume” in the East, the massif of “Sainte Baume” in the North, with a natural opening to the Gulf of Bandol. 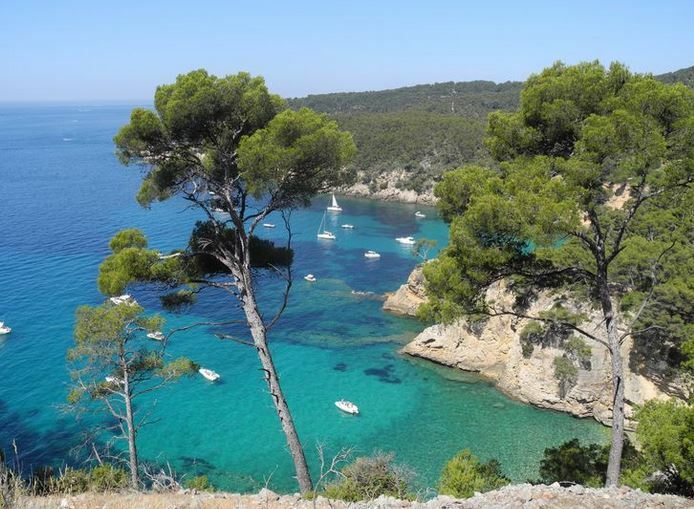 Bandol with its fabulous scenery along the coastline, you will be seduced by this city’s exceptional wines. For lunch you will stop in the medieval village of Le Castellet. We highly recommend Le Pied de Nez. After lunch take a walk in the beautiful medieval village of Le Castellet, dating from the 12th century. Enjoy one final tasting in Bandol before heading back to Aix. After breakfast and checking out, you will be transferred to either Aix-en-Provence train station or Marseille airport. continental breakfast and city tax. – Guided visits led by an English speaking guide. – Wine tastings as specified on this itinerary. – Audio Guide in the Palais des Papes. – Cooking class with market visit. Driver & Guide tips (discretionary). Single supplement (please enquire for single room). Air or train transportation to/from Marseilles. Group minimum size, 12 passengers.